He also said its been tweaked and tuned. Uniden BEARCAT 980. Single Sideband SSB (USB/LSB) Modes. CB Radio, SSB. Radio Frequency. EFFINGHAM RADIO REPAIR. Illuminated Selectable 7 Color LCD. Full 7-color Display. OVER 20 YEARS EXPERIENCE. The superior engineering of the PRO505XL will treat your ears to professional 2-way radio communications as you've never heard it before. UNIDEN BEARCAT 980 SSB CB RADIO. ONLY USED FOR A COUPLE OF MONTHS. The Single Side Band capability allows you to talk up to 3x further — perfect for the CBer that wants to reach as far as possible. The high-tech interface has a 7-color digital display and comes fully equipped with a digital SWR meter, radio diagnostics, PA capability, channel scanning, and a dimmer switch. Need us to go on? Okay, we will. It also includes NOAA weather channels, a six-pin microphone that's compatible with Uniden's new wireless mic technology and an extra-long cord so you can pass the mic back to your friends in the back seat. This item is a Uniden Bearcat BC980SSB in basically mint condition.All features work properly, and the radio has been peaked/tuned. SSB operation is fully tested, and audio quality on both am and ssb is exceptional. New to the Uniden CB line is the Pro 505 XL. Featuring a backlit LCD display, this compact radio is easy to read and will fit in virtually all vehicles. Monitor your transmit power with the built-in S/RF meter and use the public address function to be heard outside your vehicle. The Pro 505 is ideal for CB users seeking an affordable radio with CB and PA functionality. The Pro 505 XL is Uniden's newest base model CB radio. Larger than the 510 XL and 520 XL radios, the Pro 505 XL features a large LCD display, PA capability and instant emergency channel 9. The controls of the Uniden Pro 505 XL include squelch, volume, up and down channel buttons, and a PA/CB quick switch. The radio has attachments for a PA and external speakers. I will get back to you as soon as possible. Uniden Bearcat 980 SSB CB Radio. 40 AM CB Channels Plus SSB - Includes Upper and Lower Sideband channels. Wireless Mic Compatible - Compatible with the BC906W Wireless CB Speaker/Mic. See pictures. This radio works properly, only used for a few minutes to perform radio checks, received great reports. This Uniden® Bearcat® 880 CB radio is designed with a full 40-channel operation and an easy-to-read 7-color digital display. NOAA weather channel access. 7-color backlit display with easy-to-read large type. The Uniden Bearcat 980 CB Radio brings advanced feature in a modern design. Also including 7 different back lights to custom the right color. The Bearcat 980 CB Radio has a large color changing LCD display which works for the driver making it easier to see. SSB allows for operation at 12 watts - providing 3x the standard CB power & range. SSB USB/LSB. Great for monitoring both weather and CB communication. Compatible with: Compatible with all CB antennas on the market. 40 AM CB Channels Plus SSB - Includes Upper and Lower Sideband channels. Uniden 980 SSB - Bearcat 40-Channel SSB CB Radio with 7-Color Digital Display. Bearcat CB Radio with 7 Color Display. It's tough and powerful with a large easy-to-read display and exciting new features including Single Side Band USB/LSB, Clarifier, 7 Color Display Backlighting, Noise Cancelling Mic, and Wireless Mic Compatibility. The superior engineering of the PRO505XL will treat your ears to professional 2-way radio communications as you've never heard it before. CB Radio UNIDEN 40-Channel #PRO505XL. At the rear of the radio you'll see an antenna jack, external speaker jack, and PA jack. The Uniden BC880 is a perfect blend of functionality and style. This Bearcat CB radio features a sleek face with 7-color LCD display that will match the interiors of modern and older vehicles alike. UNIDEN BC880 40 CHANNEL CB RADIO WITH 7 COLOR OPTION LCD DISPLAY, TALK-BACK, NOAA WEATHER & NOISE CANCELING MICROPHONE. Model Number: BC880. Manufacturer Part Number BC880. Product Model BC880. Manufacturer: UNIDEN. One of the few available SSB CB Radios. SSB USB/LSB. The Clearest Reception, Strongest Transmissions & Greatest Range. Channel Indicator. 40 Channel Operation. Wireless Mic Compatible. Instant Channel 9/19. The PRO505XL is Uniden's newest base model CB radio. The Uniden Pro 505XL is larger in size than the Uniden 510XL and 520XL radios. Those looking for a base model CB radio that is easy to use and has a PA function will be very happy with the Pro 505XL. Features Weatherband with Alert, AM/SSB Sideband capability. The Bearcat 980 CB Radio has a large color changing LCD display which works for the driver making it easier to see. The backlight display is adjustable, giving you the option to brighten or dim when need/wanted. The superior engineering of the PRO505XL will treat your ears to professional 2-way radio communications as you've never heard it before. Manufacturer Part Number PRO505XL. Product Model PRO505XL. Product Line Bearcat. UNIDEN BC-880 40 CHANNEL CB RADIO WITH 7 COLOR OPTION LCD DISPLAY, TALK-BACK, NOAA WEATHER & NOISE CANCELING MICROPHONE. The Uniden Pro505XL can be mounted in limited size spaces and it has an easy to read backlit display. Uniden Pro505XL 40 Channel Compact CB Radio With PA Features To Mount a CB. Great Radio for Having Limited Space in Your Vehicle. Noise Canceling Microphone with extra flexible cord. Rugged construction ABS plastic wired for 6 pin radios. Trucker tough, it's everything you expect from Uniden. Radio diagnostics. NOAA weather. Uniden PRO505XL 40 Channel Bearcat Compact CB Radio. Condition is New. Shipped with USPS Priority Mail. Trending at $33.44eBay determines this price through a machine learned model of the product's sale prices within the last 90 days. You can check the relative strength of incoming transmissions with the signal/RF power indicator. This CB radio has an external speaker jack that will let you plug in an external speaker for better sound as well as an external PA jack that allows connection of a PA speaker. The illuminated display from thisRadio Scanner fromUniden is also not difficult to read, even in dimly lit areas. Specification:Uniden Bearcat Compact CB Radio PRO505XL. Model Number:PRO505XL. Uniden Bearcat Compact CB Radio. Uniden Pro 505XL CB Radio. Item #: Pro 505XL. The backlit display is easy to read, even in low light conditions. Manufacture: Uniden. Simple, User-Friendly Layout This Bearcat CB radio features a simple layout with large dedicated up/down buttons. Uniden - PRO505XL. Uniden Bearcat Compact Cb Radio 40 Channels. PA/CB Quick Switch - Easy switching between CB transmissions and PA output. Photo & Video (47). 40 Channel Operations. Details about Enrock Marine Single-DIN Car Boat Radio Dash Kit Protectors (Black / White). Full 40 Channel Operation. Channel Up/Down Buttons. External Speaker Jack: Plug in an external speaker for better sound. External Speaker Jack: Plug in an external speaker for better sound. Signal/RF Power Indicator: Check the relative strength of incoming transmissions. The backlit display is easy to read, even in low light conditions. Enjoy the complete range of 40 CB radio channels to communicate with those around you. Turn the squelch knob to adjust the level at which the radio suppresses weak radio signals. Part Number: PRO505XL. The superior engineering of the PRO505XL will treat your ears to professional 2-way radio communications as you've never heard it before. Bearcat compact CB radio. Manufacturer: Uniden. 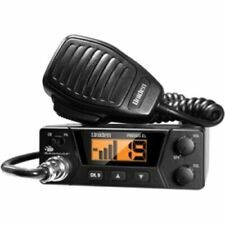 UNIDEN PRO505XL Bearcat Compact CB Radio. Bearcat compact CB radio. so far it's held up great, i get a lot of sand in my Jeep is still working like new. i like the mic better than most other CB radios. 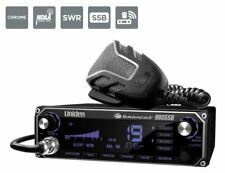 New Uniden PRO505XL Compact CB Radio. The superior engineering of the PRO505XL will treat your ears to professional 2-way radio communications as you've never heard it before. The superior engineering of the PRO505XL will treat your ears to professional 2-way radio communications as you've never heard it before. Product : UNIDEN PRO505XL CB RADIO. Manufacturer Part No : PRO505XL. The Bearcat 980 CB Radio has a large color changing LCD display which works for the driver making it easier to see. The backlight display is adjustable, giving you the option to brighten or dim when need/wanted. PRO505XL 40-Channel Bearcat CB Radio. The superior engineering of the PRO505XL will treat your ears to professional 2-way radio communications as you've never heard it before. Bearcat compact CB radio. Uniden PRO510XL 40 Channel mobile CB Radio w/7 Watt output. Condition is New. Shipped with USPS Priority Mail. Product Model #: PRO505XL. The superior engineering of the PRO505XL will treat your ears to professional 2-way radio communications as you've never heard it before. Product Model # PRO505XL. Bearcat PRO505XL CB Radio. 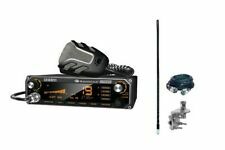 Uniden PRO505XL 40-Channel Bearcat Compact CB Radio If you're looking to upgrade your vehicle's communication scanning potential, this kit is for you. It starts with the 40-Channel Bearcat Compact CB Radio from Uniden.